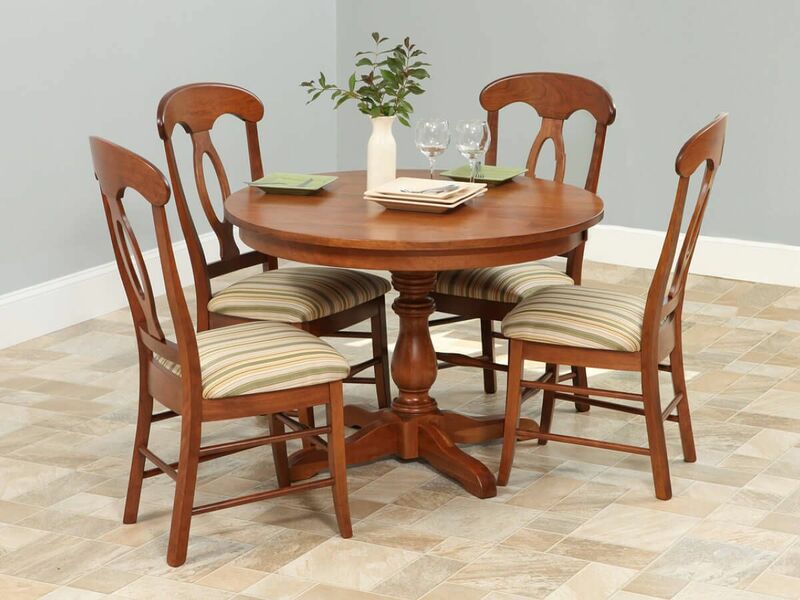 For formal or casual dining, our Narvada French Country Chair is certain to please. Indicate wood and finish selections using the options menu below. 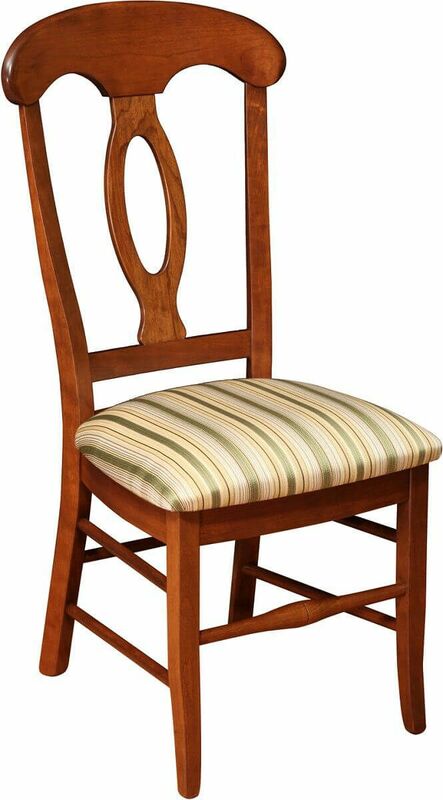 Available with wood or upholstered seats, your Narvada Dining Chair can be warm and traditional, or updated with a modern edge. 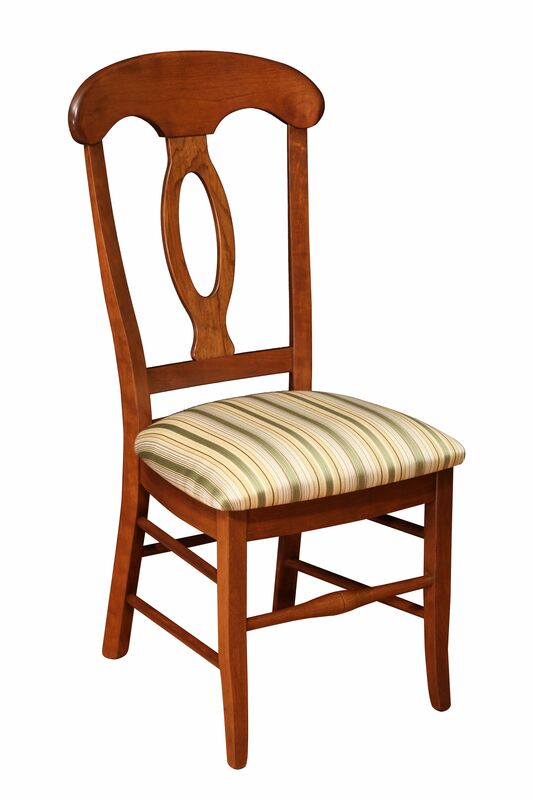 Mortise and tenon joinery is paired with reinforced wooden chair legs for a piece that will stand the test of time. 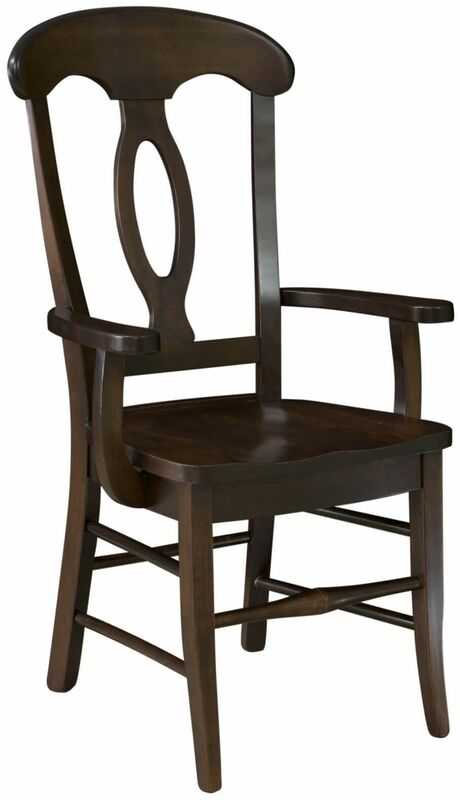 Amish handcrafted using your choice of solid American hardwood, the Narvada Dining Chair will certainly be one-of-a-kind. 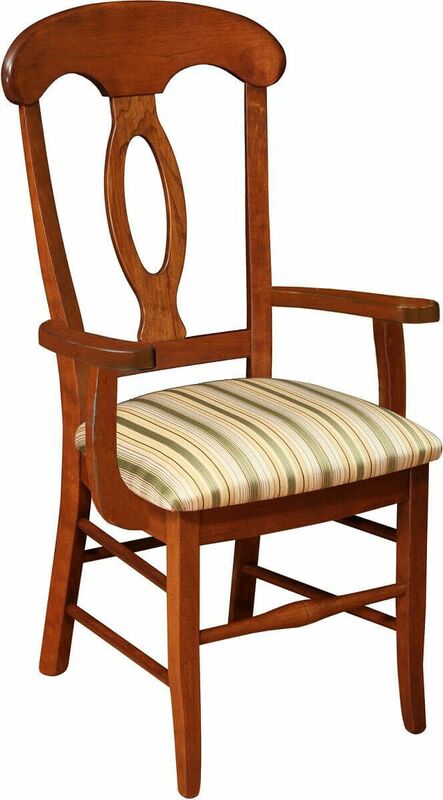 No matter how you decide to design your wooden dining chair, our Amish artisans will ensure it is built to order. Unsure about your finish selection? Request up to four samples at checkout and make your final decision once they arrive.